I Need Motivation To Lose Weight And Exercise! Losing weight is one of the most rewarding things an overweight person like myself can achieve. Being able to reach my fitness goals will make me feel great about myself , which then can hopefully be redirected to other aspects of life. Starting the process of losing weight is the easiest part I found, but the hard part is remaining consistent. Trust me I know, I’m right there right now. I need motivation to lose weight and exercise.This is a daily battle for me. There will be a lot of challenges in the process, and some might seem like real reasons to quit. You will need to be disciplined throughout the process until you reach your goals. The good news is that there are a couple of things you and me can do to remain motivated throughout the process of weight loss. 1 Whats Your WHY, This Is Mine? Whats Your WHY, This Is Mine? After recently quitting smoking, I put on a boatload of weight as many people often do. Let me tell you, this itself is a extremely difficult task and one I still battle with daily. Anyways, I then bought a high weight capacity Treadmill to kick start my overweight challenge. So spending $1000+ on a treadmill didn’t work. I didn’t loose weight becasue I didn’t feel the enthusiasm to use it. Why?. Well, I had no WHY!. The thing that got me through and still gets me through the whole quitting smoking business is remembering my why. Why am I quitting, whats the reason I started in the first place?. When I think about my why, my brain somehow relieves the cravings and I can get on with what I’m doing. So by documenting this, I am also reinforcing my reason to lose weight. This is just part of my strategy. My why is probably similar to a lot of people. 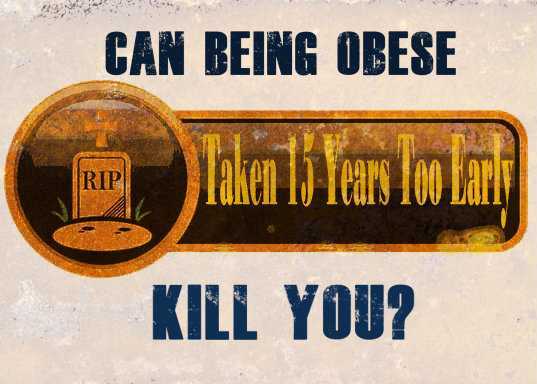 I’m afraid of dying from being overweight and want to be able to run around with my kids. Once I could no longer do up my own shes I knew I was in trouble. How the heck was I ever going to play ball with my Son if I couldn’t even reach my own shoes. The other reason is becasue a friend of mines partner recently died from cancer. It shook me up a bit and made me think that I was essentially killing myself instead of cancer. The bigger I get, the less I move the more problems I am creating for myself. My friends partner wasn’t overweight but still got cancer. Who am I to be killing my own body like this when someone like her dies from a rare case of cancer. She did nothing to deserve to die, yet here I am wasting my own life when I have the chance to turn it around like she never did. So that’s my drive and the reason I want to stay motivated to lose weight. The problem is, I lose motivation just like everyone one else. AS I said earlier, remembering your why is very important to achieving weight lose goals. It reminds you why you are doing this in the first place. First thing when you wake up, you need to be reminded about your changing in life story. Do whatever it takes, make your smart phone display the message, leave a memo by the coffee machine, dashboard of the car. Stop the brain from wondering as soon as you wake up. Work in the office? Leave images on your desktop background, pin post it notes on your white board. Leave little reminders in the office kitchen. Leave lose weight motivational tags on the fridge and pantry. While not always effective, over time they can start to drill home. Join motivational groups on Facebook, Instagram, Twitter etc. Losing weight will not be easy, but that doesn’t mean it cannot be done. The first thing you should do is chart your progress. It can be hard to remain motivated when you don’t know if you are making progress or not. There are many studies that have shown people who track their progress see better results than those who don’t. If you start to see result stagnating, you will know there is something you are not doing right and do something to fix it. Seeing progress will boost your motivation more than anything else. As a heavier person, heavy duty bathroom scales are often needed to measure a true accurate reading. It’s important to document your starting weight, not just for bragging rights, but to keep you motivated. Something that I have recently started using is the iFit VUE fitness tracker. This is an amazing motivational tool that goes hand in hand with my treadmill. It keeps me on my toes as I have to see it every day. It reminds me that hey, you haven’t done enough exercise today. Get into it. Or somedays it tells me that it’s my day off from exercise. I like those days, no I mean argh I should be exercising. Having the iFit which is waterproof by the way, is definitely a good device for staying motivated. I kid you not, it reminds me many times a day that I’m trying to lose weight. Which helps me keep focused and stick to my plan. It sync with a free app on my smart phone which allows me to keep track of anything related to my fitness. I love seeing progress bars and such, so having this is very cool feature to have when trying to lose weight. The key to staying motivated to reach your fitness goals is just like the amount of fuel in a car, it doesn’t have to be full in order to drive, but you just need enough to prevent it from running empty. Motivation has a natural rhythm, don’t waste your precious time and energy on trying to maintain high levels of motivation. The more you try to increase your level of motivation, the more elusive it becomes. By giving it a chance to follow its natural course, you will be able to use a little discipline and see it starting to come back. One mistake that many people make is setting their goals too high, and get demotivated when they are not able to reach them. It is a good idea to start making small goals and adding them with time. You would have already known your potential and the challenges you can expect to get. Reaching your goals will motivate you to do more and more until you get to the weight you were after. Break down the goals into smaller goals, e.g. you can break down the number of pounds you want to lose per week. This will give you motivation boost throughout the process. There are some weight loss goals that can take many months of even years to reach. It is a good idea to reward yourself once you reach your fitness goals, but you can reward yourself when you reach a certain point, like halfway. Once you reward yourself, you will feel more motivated to reach the next point. You will be looking forward to reaching the next milestone. 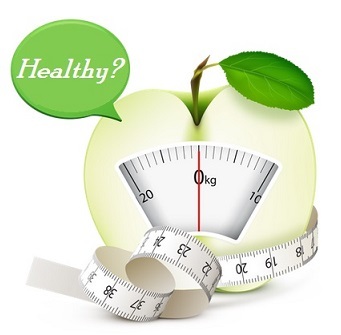 The process of losing weight will force to make some changes in your diet and lifestyle. Make some changes that will make it easier for you to reach your goals. It might seem hard at first, but it gets easier with time. If you find it hard to make these changes, do it in phases. You will meet less resistance and make it easier to stick and achieve your goals. The most important tool to remain motivate is reminding yourself the reasons why you are losing weight in the first place. When you feel like quitting, just remind yourself the reasons why you are trying to lose the weight.